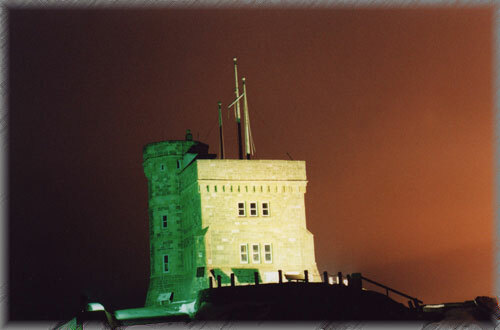 For many years, SONRA has operated an HF station from Cabot Tower, at the Signal Hill National Historic Site in St. John’s, to commemorate Guglielmo Marconi’s achievement of receiving the first wireless transatlantic signal at the site on December 12, 1901. Each year, local amateurs operate VO1AA on the anniversary of that momentous occasion. Our December 12th event is one of the more popular Club activities of the year. We also operate it as VO1IMD and participate in the annual International Marconi Day celebration around April 25th each year. Throughout the year, members operate periodically to let amateurs world wide contact this historic site. The station is manned daily each July and August to allow visitors to the Province a chance to see what we are all about. The station also sees action as the hands-on part of our educational program where new amateurs can get a feel for HF operation. Visiting amateurs are invited to visit our station and make a few contacts. All you need is verification of an amateurs licence and to make arrangements with the Club and with Parks Canada officials, who are our gracious hosts on site. 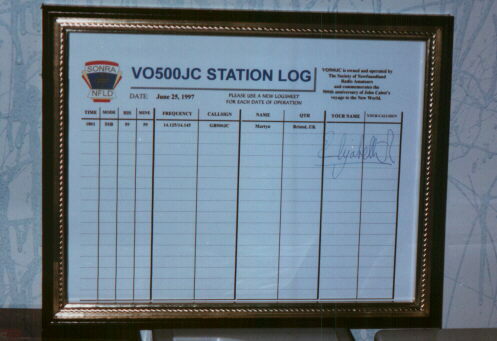 During 1997, the call sign VO500JC was in operation to signify the 500th anniversary of John Cabot’s voyage to the New World in June, 1497. 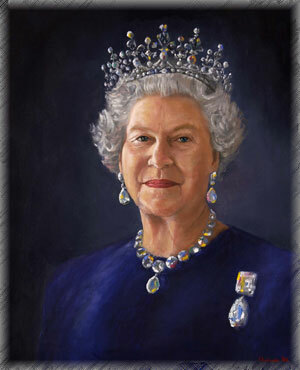 History was also made during this period when, on June 25, 1997, Her Majesty Queen Elizabeth II visited our station and made a brief transmission to Bristol, England using our station. 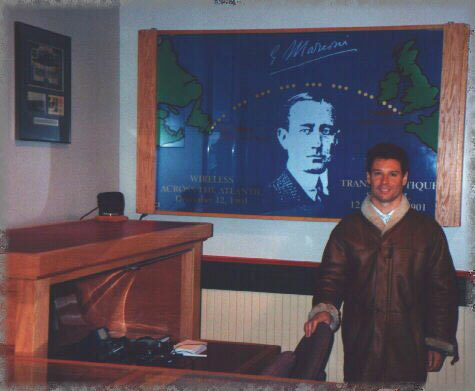 During the month of December, 2001, we celebrated the 100th anniversary of the reception of the first transatlantic wireless message by Guglielmo Marconi by using the special call sign VO1S at our Signal Hill Club station. Cabot Tower, at the Signal Hill National Historic Site in St. John’s, overlooks the harbour to the West and the North Atlantic Ocean in most every other direction. Slightly East of due South, visitors to the site can see Cape Spear, the most easterly point in North America, and its lighthouse. Begun in 1897 to commemorate both Queen Victoria’s Diamond Jubilee and the 400th anniversary of John Cabot’s (Giovanni Caboto) voyage to the New World, it was completed in 1900 and has been a part of many historic events in its 97 years (as of 1997, the 500th anniversary of Cabot’s historic voyage). In 1901 it stood witness to possibly the most important accomplishment in modern telecommunications – the reception of the first wireless transatlantic signal by Guglielmo Marconi. For a number of years, SONRA has operated a special event station from Cabot Tower in St. John’s to commemorate the accomplishments of Guglielmo Marconi. Several years ago, the Club began a summer operation, which involved the membership in operating the VO1AA station for the months of July and August, in order to provide Amateurs world-wide with the opportunity to make contact with one of the most historic sites in the world regarding radio communications. In conjunction with Parks Canada, SONRA continues with its objective of setting up a full time, fully functional HF station at the site, which would not only be available for Amateurs to contact or even operate, but to serve as a Club station, giving us a vehicle to help educate and enhance the Amateur population through training on HF operations as well as an excellent display to show the progress of radio communications since the days of Marconi. The station comprises a ICOM 756 PROIII and is capable of all modes of operation. The antenna is a centre-fed dipole and covers all bands from 160m to 10m. The station operates under several different callsigns, depending upon the event. Most of the year, it is VO1AA, the regular callsign, but on the Saturday closest to Marconi’s birthday, it operates under the VO1IMD callsign to celebrate International Marconi Day and is one of the official stations for that event. To commemorate the 500th anniversary of Cabot’s Voyage of Discovery, we operated the station with the special callsign VO500JC and this call was be used for the whole of 1997, except for April 26th (VO1IMD) and December 12th (VO1AA). SONRA then set into motion a global event to celebrate this anniversary. More information on this day and its celebrations can be found in the Marconi 100th Anniversary section of our site.